Yesterday Microsoft released windows 10 mobile build 10149. This build brought many improvements and UX changes. One of the notable one is Reachability Microsoft released this feature in an earlier build but it was only available for large screen devices like 1520. But with the recent preview release most of the lumia devices support reachability. We have been able to test this feature on our Lumia 535 and it works like a charm. 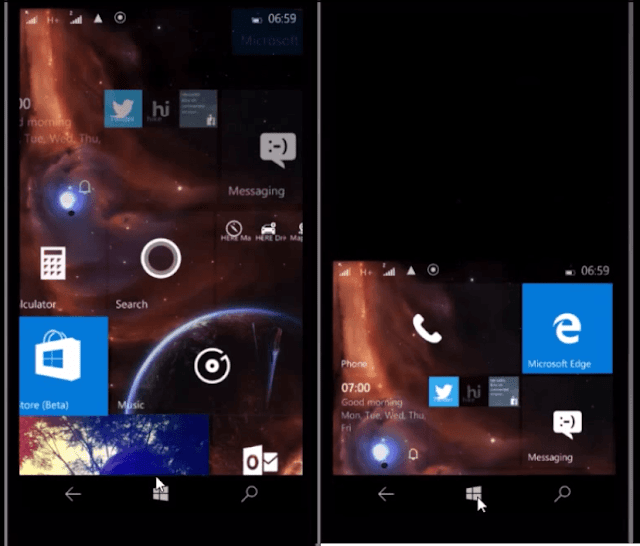 Reachability was being made available windows 10 mobile to make one handed usage easier. It works from pretty much everywhere in the OS. Just Tap hold the start button and the screen drops down to half so that you can access the top region of the screen easily. It will wait for about three seconds, if no touch activity detected the screen returns to normal.